At Fast and Fit we can provide coaching for all levels of sprinting. 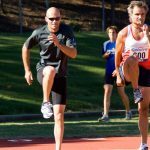 From 8 to 80 years old and from athletes who just want to run to lose weight or get healthy to professional athletes who are committed to achieving their best at State, National or International level competition. 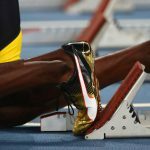 At a session we will break the athletes sprinting technique down into many phases and work with the athlete to ensure each phase is performed at it’s optimum rate. An example of just some of the 100m race aspects we work on.